The project focuses mainly on the curricula of the programmes on Coastal Engineering at ITS and Water Resources Engineering and Management at ITB. The project is currently half-way and various changes have been implemented. To be able to stimulate this and make sure the changes made are in line with what all stakeholders involved have in mind, the TU Delft asks Perspectivity to facilitate a Future Search conference with all stakeholders and to provide insight into the progress of the project through a Sprockler evaluation. 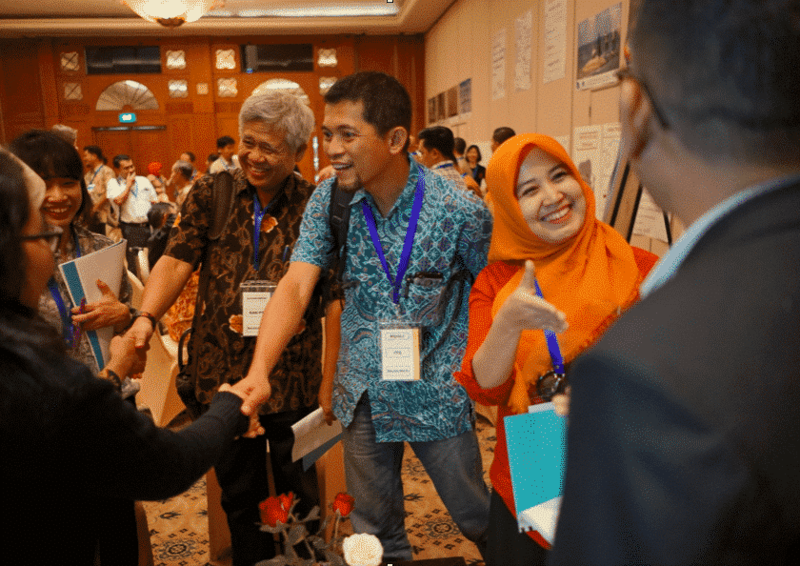 Around 80 stakeholders come together on the 21st to the 23rd of February 2018 in Yogyakarta to address the future challenges for integrated coastal and water resource management and advance higher education in Indonesia. Management and lecturers from ITS and ITB are present as well as students and alumni from those universities. Also present are policy makers, specialists and representatives from government, industry and other universities throughout Indonesia, all looking to give their perspective on the matter. The purpose of the conference is to develop common ambitions and initial actions towards educating world-class professionals in integrated coastal and water resource management. The conference is a unique opportunity for all stakeholders groups to interact and work together. In three days, they create a shared picture of the problems and opportunities, foster mutual understanding of difference in perspective and interests, and find common ground and propose action on what we intend to do for the near future that is supported by all parties. Han Rakels facilitated the conference. As the project is currently half-way its implementation, with some activities being carried out and others yet to be started, it is appropriate to obtain feedback from the lecturers, students and management staff involved in the project and find out more about project’s progress and expectations for the future. Those stories and data are available in an interactive online report, which can be accessed here.